In 2016, the UNSW Doctor Who Society (DocSoc) put together their own original Doctor Who fan film. 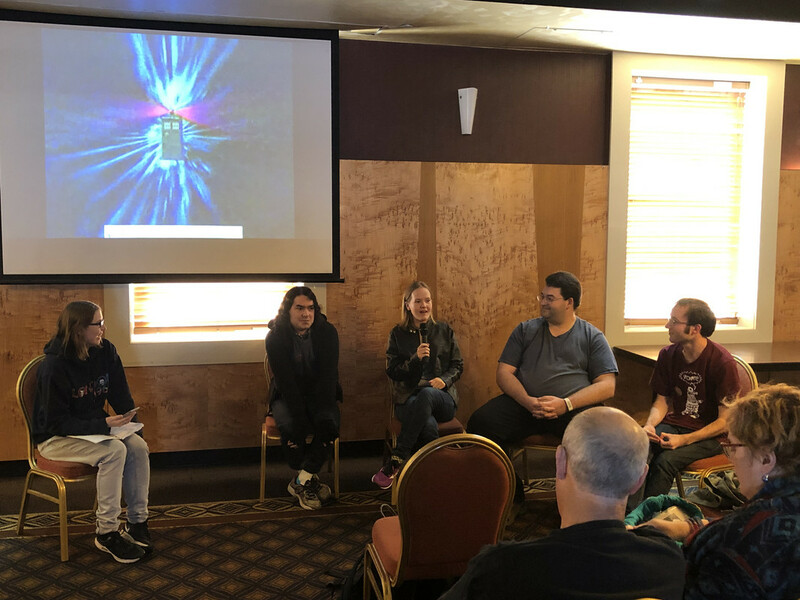 Titled ‘The TARDIS of UNSW’, the film was screened at the DWCA’s March day event in Burwood, Sydney, alongside a Q&A panel featuring members of the production team. 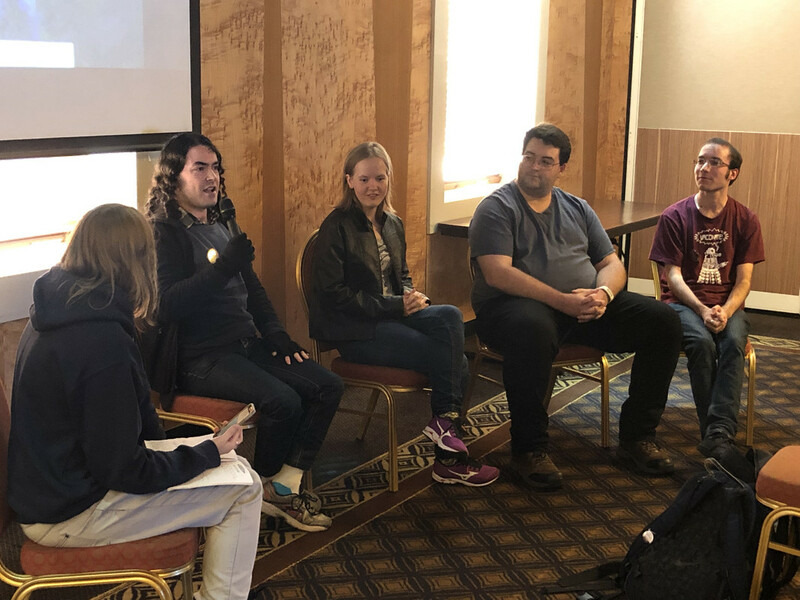 But if you didn’t get to attend the day, you can now read a transcript of the interview right here. Make sure you watch the film first, to avoid spoilers! DWCA: Welcome! Would you like to start off by introducing yourselves to the audience? Thomas Walder: I’m Thomas. I was the director, and I also did the special effects and a small part of the editing. Sarah Cobb-Clark: I’m Sarah, I played Jane aka the real Doctor. Charles Mann: I’m Charles, I played the Doctor, but also the Master, the second time around? It’s really confusing. Ewan Scott: I’m Ewan, I played the actual, definite Master, and I’m kind of responsible for the confusing plot as well. DWCA: So how did your fan film, The TARDIS of UNSW, come about? Thomas: Originally, the society was going to try and recreate some of the Classic Who effects, which you can kind of get from the aesthetic of it. But during the planning stages, Ewan and I, and one other member, we sat down and had a few drinks and decided to see if we could come up with a plot that we could use. But as we came up with an idea, we came up with this twist. It wasn’t originally even going to have a Doctor – it was going to have the Master fooling the Master and then double-crossing themselves. It was going to be this amazing Moffat-esque twist at the end. Ewan: And then Moffat stole it from us! Ewan: We clearly know the characters too well. Thomas: It was a lot of effort. One of our other members who isn’t here, who did much of the editing – Heloise – we sat down with her and spent ages trying to wrap our heads around this time loop that we’d created. Some of the diagrams that you see in both the end-credits scene and some of the making-of shots – that was from us trying to make sure that we know exactly how to get this thing working, so that it actually sort of makes sense. Charles: That took the longest, I think. Out of all of the things we did, that one diagram took the longest. Thomas: As the special effects editor, I can say it didn’t. DWCA: How did you manage to put together the special effects? Thomas: I kind of taught myself After Effects. Mostly it was just looking up the effects online. The one that was particularly unique was what we tried to do with the opening scenes. ‘Cos we attempted to replicate the official howl-around effect that Classic Who used, using modern technology – which was kind of the original idea. So what we ended up doing was getting a webcam, pointing it at a computer, and then just kind of wiggling it around for a bit. In the editing, I took the shots that were made from that and tried to blend them together in reasonably visually appealing away, and add the other effects. And I was quite happy with the result. Ewan: Tom’s effects are better than my acting. Sarah: It’s a fan episode, it’s gonna be a cheesy. And it was fun. DWCA: What about the props and other equipment? Did you film it on a phone? Thomas: It was on my camera. Charles: Tom supplied most of everything. Ewan: As a fan club, we sort of went, “Hey, anyone who has anything you can lend us – Daleks, sonic screwdrivers – bring it in!” I think there’s a shot at the end of a table covered in TARDISes and Daleks. Thomas: One thing you might notice is, I’m pretty sure each shot that has a sonic screwdriver in use is a different sonic screwdriver. That’s just an Easter egg. Charles: We definitely went out of our way in at least one shot, when we’re all trying to open the one door, to make sure that every single time a sonic screwdriver was in shot, it was a different sonic screwdriver. Thomas: Some of the props, such as the K9 and the Dalek parts, they were created by another member, Antonia, who also did much of the storage. K9’s kind of a dump truck underneath the box bit, so he was kind of a little trolley. DWCA: Your film also has the twist of the female Doctor. Now that you’ve seen a real female Doctor on screen, how do you think they compare? Sarah: I would have made a better Doctor. They should have hired me. No, I kid. I am enjoying Jodie Whittaker, and I’m sure that next season she’ll go from strength to strength. Thomas: One of things we wanted to do was make it fit in with things that we’d seen in past parodies. And having a female Doctor, up until that point, was something that was very much a classic thing for a parody to do. So that was one of the goals when it came to building themes and stuff into the show. DWCA: Overall, was the whole process easier or harder than you expected? Thomas: … So when it came to it, none of us knew that much about what we were doing – apart from Heloise, who was the only actual film student involved in the process. So a lot of it was kind of working it out as we went. Pretty much all of the actual dialogue, and most of the actual scenes, were worked out on the day. Ewan: In terms of little details like continuity though, Heloise was very much on the ball in terms of “Hang on, you need to be wearing this shirt to regenerate.” She got mad at me when I got a haircut, and fair enough. Charles: Yes, I remember that. Thomas: So we had four filming days, out of an originally planned one. Do you want to tell the story about what happened with the jackets, and the temperature? Sarah: I would love to tell that story! Alright – we started filming in winter. We finished filming in summer. Charles was in a wool coat, I was in a leather jacket and a wool turtleneck. We both regretted our costume choices. Thomas: That’s the thing, right? Doctor Who has this whole clothing aesthetic. You’ve got to have the jackets and stuff. Charles: You’ve got to make sure everything works in-universe, even if it causes you incredible discomfort and dehydration when you’re standing in the sun for a solid hour, making sure that the shot is exactly perfect. It was fun, but my goodness, I have so much respect now for professional actors, and anyone who wears that kind of stuff all the time. Thomas: Looking back at it, there were a number of small things that we either could have done more smoothly or that we had to work in, in order to cover the small mistakes we made. And I think in part, that’s because it was quite exhausting, the process of actually filming. ‘Cos we’re trying to fit in between everyone’s uni and work schedules, so we’re trying to pack in as much as we can in the limited time we have together. Ewan: I think I recorded the K9 lines several months later, at my computer, and sent them off to Heloise in the hope that she’d be able to get them in. DWCA: Was it difficult finding the right people to take on various roles in the production? 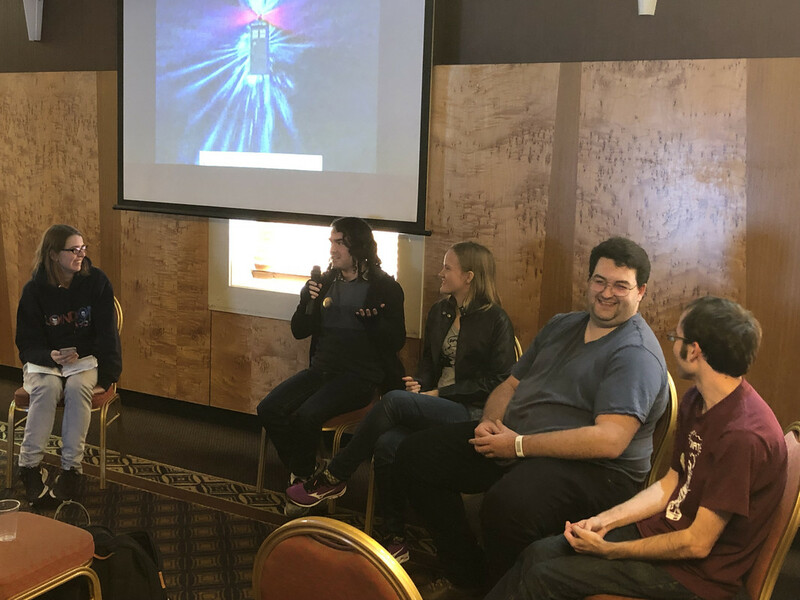 Sarah: Well everyone involved was in the Doctor Who Society of UNSW, so we kind of worked with the people who were already there, and who would be interested in it. Charles: Exactly, there was a lot of that. There was a lot of multitasking in the crew; we were like, “Someone needs to hold this camera. Just hold it. You don’t even have to do anything, just hold the thing.” There were a lot of people, but at the end of the day it actually wasn’t quite as big as it could have been. Thomas: When it came to filming the spaceship shot, I basically just filmed that in my living room, and got my mum to help. So she’s listed as one of the credits. In the end, it wasn’t a huge crew. It must have been… ten people involved in total? DWCA: Are you happy with the finished product? Thomas: I’m happy. We wanted to have it very Doctor Who flavoured, and the other thing I wanted to have was plenty of UNSW references, because it was there. That final twist – was that one of the things that we came up with on the first day? Ewan: I think that was part of the core plot; that the library was actually a TARDIS. Charles: The enormous thing that was in every single shot. DWCA: Do you have any advice for anyone who might be considering doing their own fan film? Charles: Plan. No seriously, make sure that you have everyone’s schedules mapped out like 16 months in advance. Make sure everything lines up, make sure that you have a good group of people to work with. ‘Cos that, I think, is also key. If you have people who are willing to go the extra mile to make sure that everything’s in place, and they’re willing to sacrifice and stuff, then you’re going to have a much better experience overall. Thomas: But conversely, as well as having to plan ahead, when stuff doesn’t go right, you’ve got to be a bit flexible as well. So be prepared for that to happen. Because our filming ended up getting pushed back, we ended up having our last filming day during the university shutdown period, which meant that we didn’t have any access to indoor facilities. So some scenes which happen outside, they only take place outside because that was all we had access to. Again, plan ahead, but in the event that planning ahead doesn’t end up covering everything, you’ve got to be ready to improvise. Thomas, Sarah, Charles and Ewan appeared at the DWCA day event ‘Joker in the Pack’, which was themed around comedy in Doctor Who. 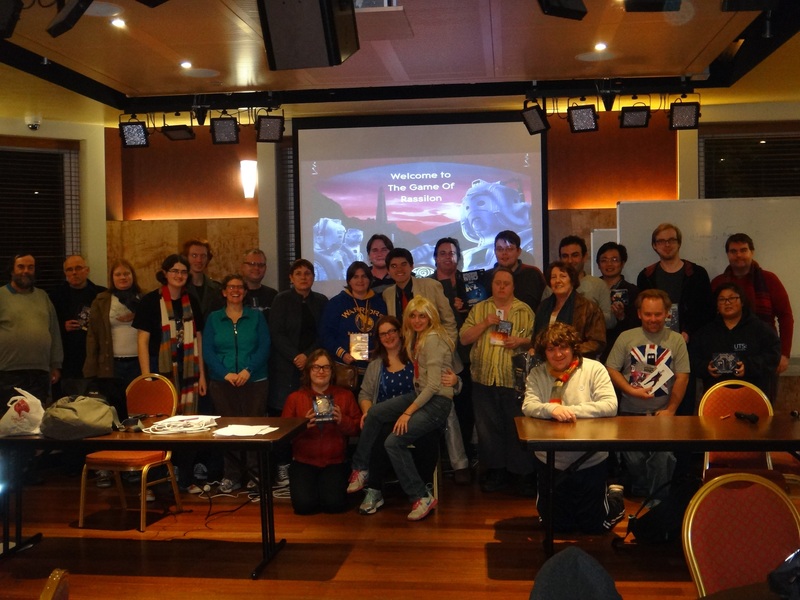 The club’s next Sydney day event will be held on 19 May and is themed ‘Animations and Adaptations’, in honour of the recent animation of The Macra Terror. More information on the event can be found here and pre-orders for The Macra Terror can be placed here. Award-winning sci-fi audio series Night Terrace, produced by Melbourne’s own Splendid Chaps Productions, is making its broadcast debut on BBC Radio 4 Extra – and Australian listeners will be able to tune in as well! 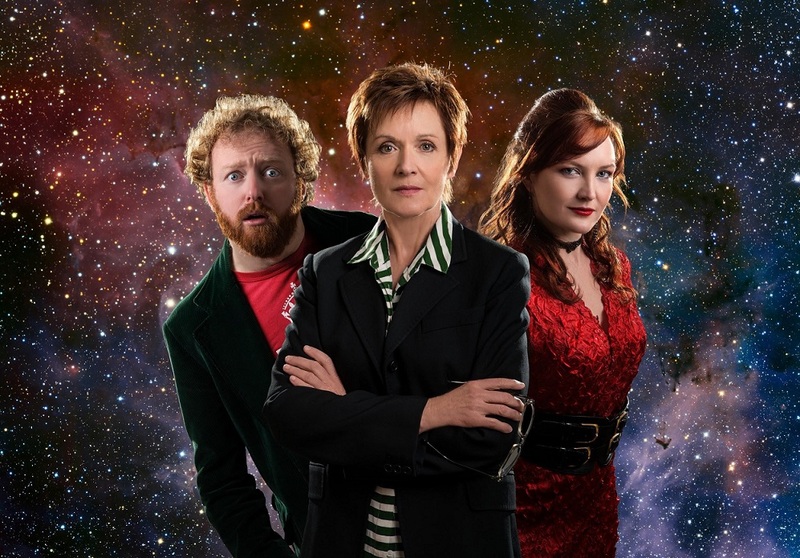 Created as a follow-up to the critically acclaimed Splendid Chaps Doctor Who podcast, Night Terrace is a half-hour narrative comedy series starring Jackie Woodburne (Susan Kennedy from Neighbours) as Anastasia Black – a government scientist who used to save the world but now wants a quiet retirement. So she’s understandably miffed when her house unexpectedly starts travelling through space and time. Over two series and a total of sixteen episodes, taking place from the ancient past to the distant future and everywhere in between, Anastasia fights monsters and solves mysteries, all while trying to find a way home. And joining her on her interstellar trek are actor, comedian and series co-creator Ben McKenzie as hapless door-to-door salesman Eddie Jones, plus actor, singer and co-creator Petra Elliott as the myserious “Sue”. The guest cast is meanwhile packed to the brim with Australian and New Zealand comedic talent – including Whovians regulars Cal Wilson and Adam Richard – as well as respected dramatic actors such as Colette Mann, Jane Badler, Virginia Gay and more. There are even cameos from Louise Jameson (Doctor Who’s Leela) and Nicholas Briggs (the voice of the Daleks), as well as Doctor Who writer and former Big Finish producer Gary Russell! Originally crowdfunded for digital download, Night Terrace now comes to BBC Radio, premiering on Sunday 21 April on Radio 4 Extra at 6pm UK time (repeated at midnight) and continuing every Sunday for the duration of the first series – with each episode available internationally via BBC iPlayer (aka BBC Sounds) for 30 days afterwards. Series two will follow in the same timeslot from 25 August. “I’m stunned we went from doing a podcast in Melbourne pubs to having our comedy series on BBC Radio,” said head writer John Richards. “It’s like we just won an Oscar for pole dancing. I’m a huge fan of radio drama and comedy – due to a long commute I currently listen to more drama than I watch. So it’s a thrill that Anastasia Black is heading to the home of The Goons, the Hitchhiker’s Guide To The Galaxy and that show that used to look at famous pipe organs. Episode one of series one, Moving House, can be streamed now on the Splendid Chaps Soundcloud page or via the YouTube link below. 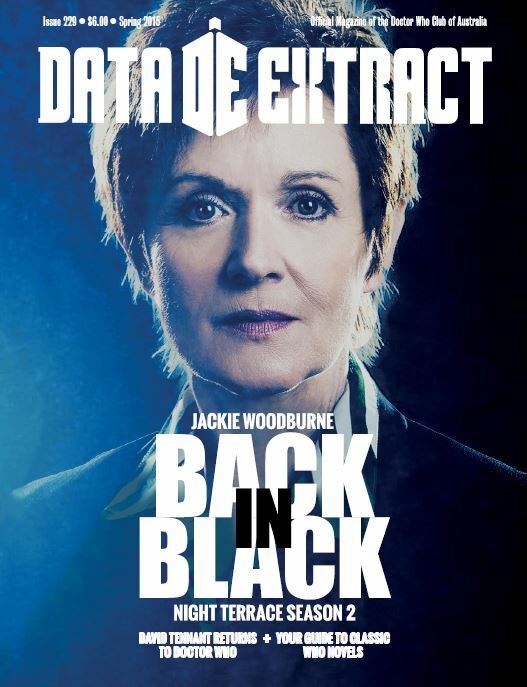 You can also read our exclusive interview with Ben McKenzie, conducted ahead of the release of series two, in Issue #229 of Data Extract magazine, available from the DWCA Shop. Two months after the broadcast of Resolution – the only full-length new episode of Doctor Who we can expect to see in 2019 – some fans may be starting to feel the itch that comes with the knowledge that the next series is at least another nine months away. The good news is, a year with no Doctor Who on telly doesn’t have to mean a year with no Doctor Who at all. Just follow these tips and the year will pass in no time at all. If you started with the revived series in 2005, this is the perfect opportunity to go back to see where it all began. With the classic series containing a whopping 695 episodes broadcast over 26 years, there’s certainly plenty of content available – and a lot of it is more accessible to new viewers than you may think, so you can start wherever you like and see where you end up. There are also some exciting things happening in Classic Doctor Who this year, with the continuation of complete season collections on Blu-ray and the release of a brand new animated reconstruction of a lost classic, The Macra Terror – so it’s the perfect time to embrace your curiosity about Classic Who. You can find several classic series titles in our online shop, and you can check out our guide for getting started on the classic series here. 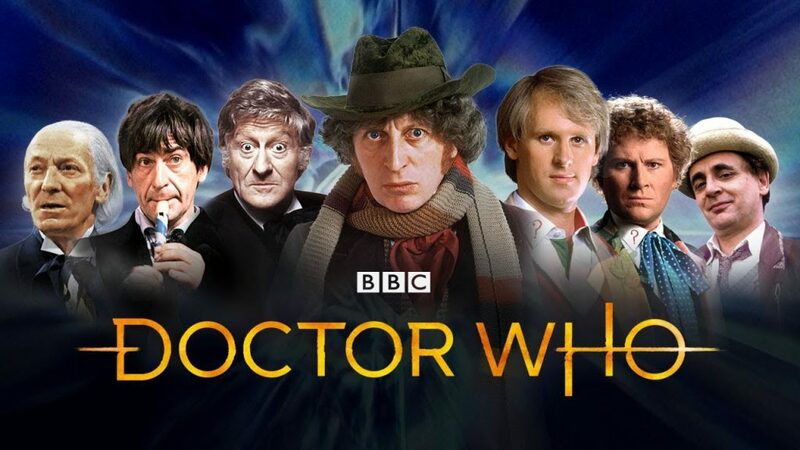 Spin-off series further exploring the lives of supporting characters may be common place now, but bar a failed attempt in the early ’80s, it wasn’t until 2006 that Doctor Who boasted its own full length spin-off series. Torchwood ran for four series: the first two – overseen by current Doctor Who showrunner Chris Chibnall – have something of a cult status, and were followed by the universally praised mini series Children of Earth and experimental American co-production Miracle Day. Children’s programme The Sarah Jane Adventures meanwhile provided five seasons of great entertainment to the young and the young at heart. Mention should also be given to the criminally underrated Class, which had the makings of something great but was sadly not renewed for a second season. There’s even a semi-obscure children’s series starring K9 that was produced in Australia! If you missed out on viewing one or all of these programmes, it’s time to track them down. 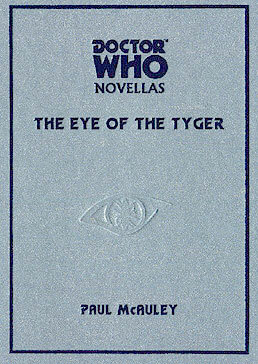 Doctor Who tie-in material has existed since the very early days of the programme – via the short stories and comics contained in the Doctor Who Annuals, for example – but it was during the ‘Wilderness Years’ between the end of the classic series in 1989 and the revival in 2005, that officially licensed original material really blossomed. Both the Seventh and Eighth Doctors have whole ranges of novels devoted entirely to their off-screen escapades, and Doctors 1-6 didn’t miss out on their own written adventures either. 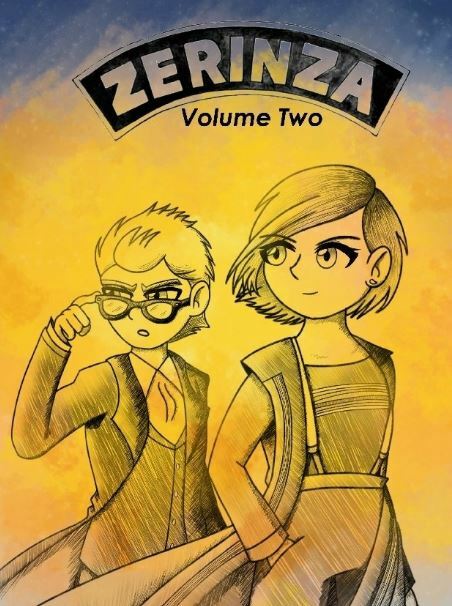 The books continue to this day with adventures for the Doctors of the 21st century. 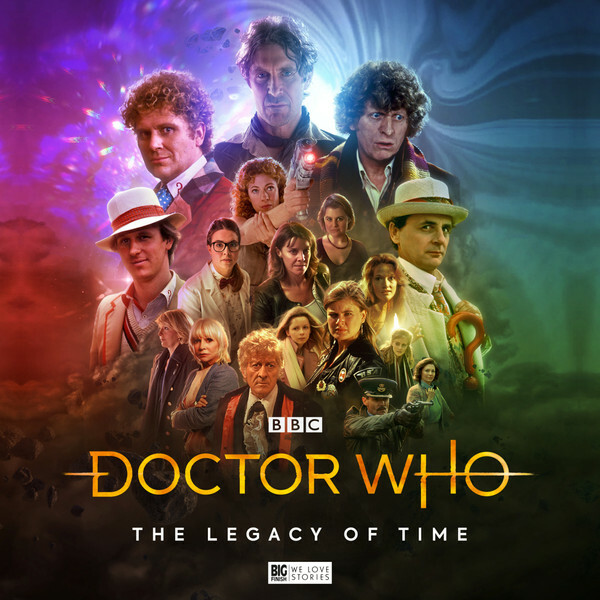 And if you prefer your Doctor Who brought to life by the original actors, Big Finish Productions has been producing its own audio dramas since 1999, featuring all your favourite classic Doctor and companion teams as well as a few new ones. The DWCA is one a small number of distributors of Big Finish audio in Australia – check out our range here. With no new stories being officially released in 2019, why not make up your own? It’s easier than ever to produce your own content these days, from filming your own episode on your smartphone to making fan art, producing your own props and cosplays, or even rattling out some good old fashioned fan fiction (remember, that’s how writers such as Russell T Davies, Steven Moffat and Mark Gatiss got their start!). 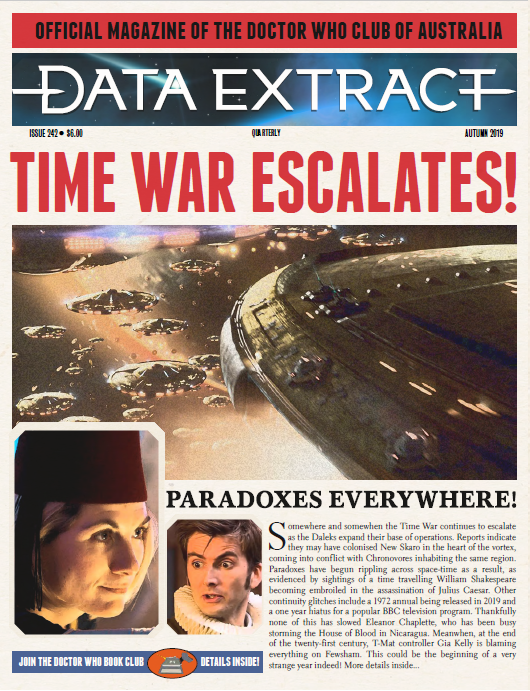 There are also plenty of outlets on the Internet for you to share your creations – and if you’d prefer to see your work in print, you can even submit to fanzines such as the DWCA’s own Data Extract, ensuring that your work is viewed by a loyal community of fans. 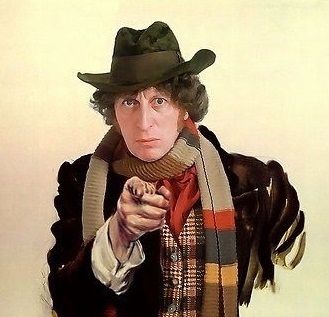 Regular folk may not be interested in talking about Doctor Who when it’s not on air, but Doctor Who fans certainly are! That’s why fan clubs such as the DWCA are a great way of keeping the spirit of Doctor Who alive even when the show is taking a break. 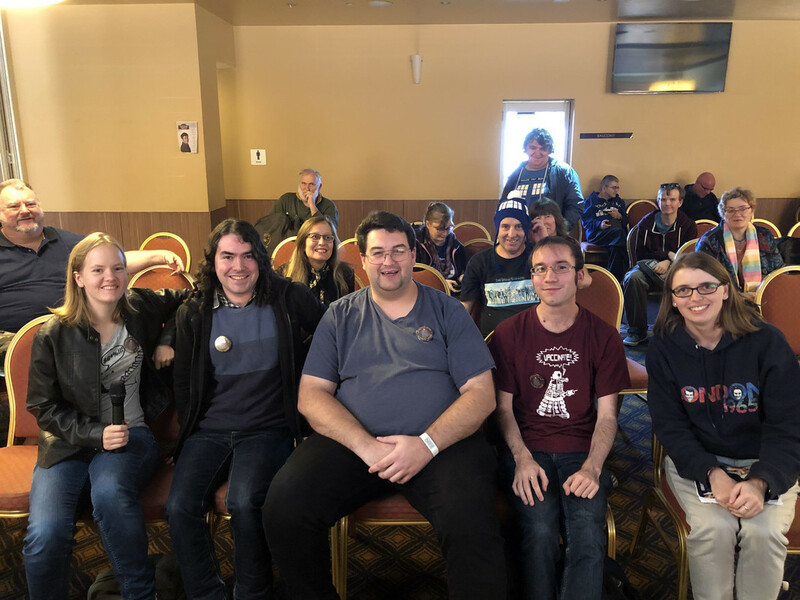 So if you want to meet with other fans to gush about your favourite Doctors, watch your favourite episodes, compete in games and quizzes, or just spend time in each other’s company, we encourage you to see what fan events are going on near you. We suspect that if you were to take on board all these suggestions, and to retroactively apply them from January onwards, you would be unlikely to finish all the things before Series 12 rolls around in early 2020. 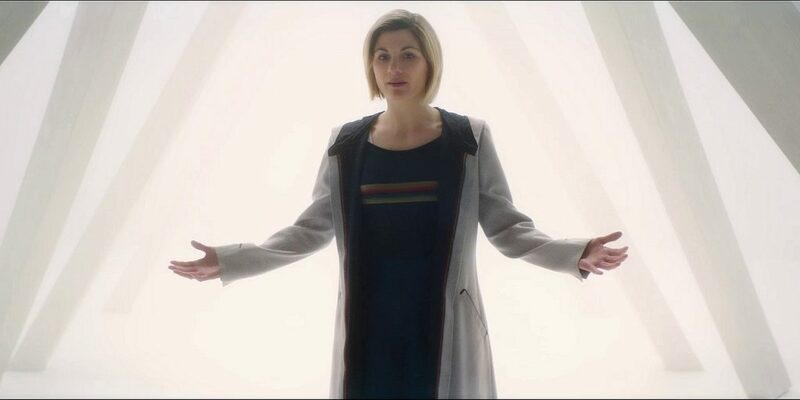 But if by any chance you have done, or if you’ve at least taken on as much as you’re willing to handle right now, there’s plenty of joy to be had in re-watching, re-reading or re-listening to some of the wonderful stories that make up the Whoniverse – from the comfort that comes from experiencing an old favourite, to the delight of picking up on a hidden joke or reference you hadn’t understood before. Yes, brand new episodes of Doctor Who are exciting, but that doesn’t mean we have to neglect the old ones. So there you have it! 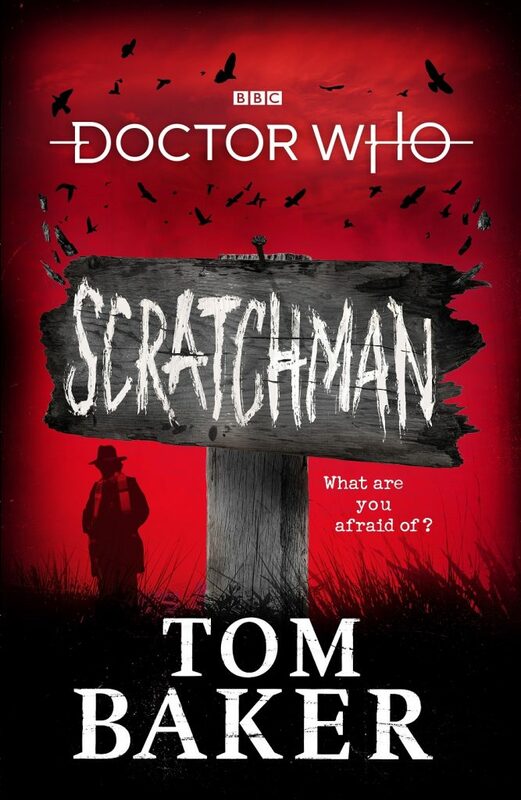 Don’t treat 2019 as a year without Doctor Who – treat it as a year where you can craft your own Doctor Who journey. Come 2020, you’ll be well and truly primed for new adventures in time and space. One of the 97 missing episodes of Classic Doctor Who, 1965’s Mission to the Unknown, is being brought back to life. But unlike recent recreations which have paired a lost story’s surviving audio with brand new animation, this is an entirely new remake – one that’s being helmed primarily by students. Mission to the Unknown is unique in Doctor Who history as the only story not to feature the Doctor or, indeed, any of the regular cast. Rather, it follows Space Security Agent Marc Cory as he attempts to warn Earth of the Daleks’ latest plot – a plot that the Doctor and his companions would later be embroiled in as part of the 12-part epic ‘The Daleks’ Master Plan’. This made Mission to the Unknown ideal fodder for the University of Central Lancashire’s (UCLan) ‘Sci-fi in a Week’ project, which saw students, graduates and staff remake the episode in just five days of rehearsals and filming, after being given special permission from the BBC and the Terry Nation Estates. The episode was directed and produced by UCLan Pro Vice-Chancellor (Digital and Creative Industries) Dr Andrew Ireland with the help of UCLan students, graduates and staff, as well as Accrington and Rossendale College pupils who were in charge of make-up and prosthetics. It meant that students on courses including acting, fashion and TV and media production could gain hands-on experience of creating a drama from scratch and were able to compare techniques from more than 50 years ago with modern-day drama production. The voice of the Daleks was meanwhile provided by none other than new series Dalek voice actor Nicholas Briggs, and classic series actors Peter Purves (who played companion Steven Taylor in The Daleks’ Master Plan) and Edward de Souza (who played Cory) even visited the set to take part in a special Q&A panel. Purves was particularly enthusiastic about the project, teasing the news on Twitter and later sharing photos of some of the four sets. “This is an absolutely wonderful project,” Purves said. Once post-production on the episode is completed, the UCLan team plans to present a copy to the BBC, which they are treating as their client for the project. The hope is that one day it will be released in some form so that the public may view this long-lost story once more. News of the episode remake was covered on BBC North West News. 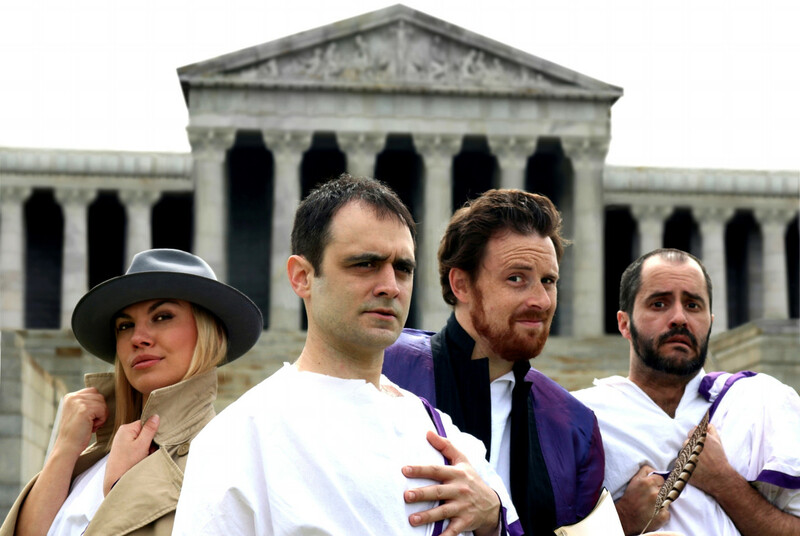 Elwood Social Club Productions proudly presents The Ides of March, an original play involving time travel, treachery and togas – and the DWCA has four double passes to give away to our members! When William Shakespeare travels back in time to ancient Rome to research his newest play, he unwittingly finds himself a prime suspect in the murder of Julius Caesar. He and his faithful sidekick Cardenio are forced to use all their tact and cunning to evade the villainous senator Brutus, the leader of the conspirators who’s desperate to throw the ‘dirty foreigner’ to the lions, and the trenchcoat-clad Inspector Detectivus of the Roman Politizia, who’s hell-bent on cracking the case of the century. The show will be held from 8-13 February in Perth and 15-17 February in Adelaide. So grab your swords and sandals and strap in for a fast, furious rollercoaster ride through space and time. This is ancient history like you’ve never seen before! For your chance to win a double pass to see the show at the venue of your choice, simply complete the form on our competition page and answer the question. Two winners will be chosen for each venue and competition entries close on Thursday 31 January at 11:59pm AEDT. Please be advised that the competition is open to DWCA members only – if you are not yet a member, you can become one right now. Competition terms and conditions apply.